Saxophonist SUSAN SUMMERS is recognized as a versatile soloist and collaborative artist. In 2018, Susan was selected as a fellow for the Bang on a Can Summer Festival held at Mass MoCA where she premiered new chamber works for saxophone quartet and various other ensembles. 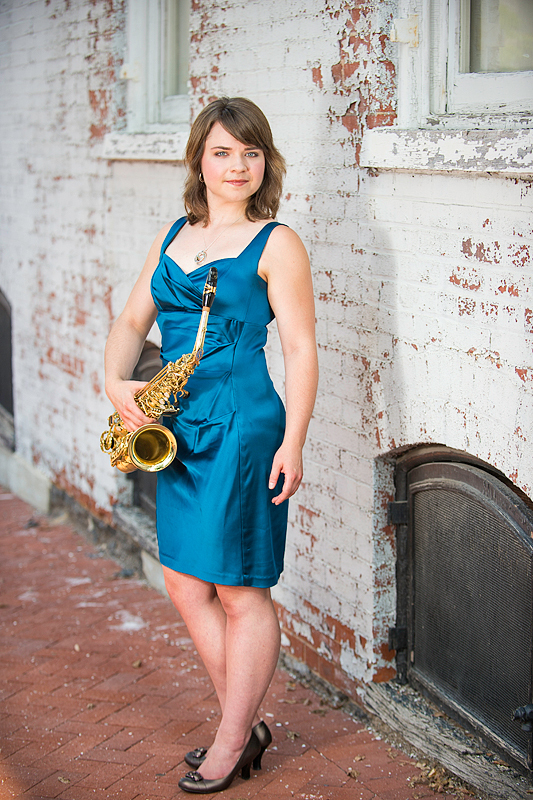 She has commissioned several new pieces for saxophone, including Molly Joyce's Attainability for tenor saxophone and wind dectet, which she performed and recorded at The Delaplaine Arts Center in July 2015. Susan has performed extensively throughout the United States and Europe as a featured artist. She has given recital performances at the 40th and 41st Navy Band International Saxophone Symposiums. She made her New York City debut at Triskelion Art's CollabFest where she gave the world premiere of Justin Porter's Cosmic Meditation for saxophone + electronics + dancer. Other notable premieres include Porter's Catapult for saxophone + electronics, which was premiered at the 2015 SEAMUS Conference where it was recognized as an ASCAP Award Finalist. Susan is committed to making thrilling, diverse music programs accessible to everyone. In the Baltimore - D.C. area, she has performed in unique public venues such as The Walters Art Museum and Bryan Voltaggio's Volt restaurant. She has also organized and performed concerts for seniors at the Valley Seniors and Friends Luncheon in addition to bringing music to the Basilica Place Senior Living Community and childcare centers in underserved areas of Baltimore as a volunteer with the Peabody Conservatory's Creative Access. Susan holds bachelor's and master's degrees from the Peabody Conservatory of the Johns Hopkins University where she studied with Gary Louie. She currently maintains a private lesson studio in Frederick, MD. Beyond music, Susan enjoys fueling her coffee habit by visiting new coffee shops wherever she goes, and she recently ran her first half marathon!